Dates: Not offered in 2014 except as a custom trip. 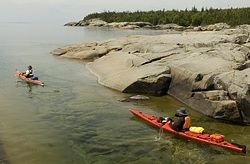 See Sea Kayak Pukaskwa to Michipicoten to include this section. 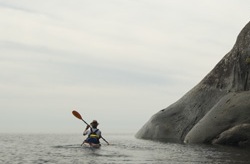 This paddling expedition explores the uninhabited, infrequently paddled shore between Pukaskwa National Park’s southern boundary and Michipicoten Bay near Wawa, Ontario. It’s completely undeveloped and inaccessible by road. Recently it was designated as the Superior Highlands Conservation Reserve and the Nimoosh Park by the Ontario Government. 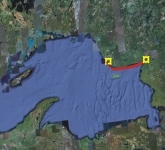 Our base on Lake Superior is at the southeastern access to this spectacular section of coastline. Your trip begins with an afternoon of individual and group sea kayak safety coaching from our base on Lake Superior near Wawa, Ontario. Later we’ll enjoy a trip orientation following a home cooked meal in the front room of Rock Island Lodge with its spectacular view of the lake. Trip fee includes tent site on our beach or alternatively in the lodge at a trip guest discounted rate. 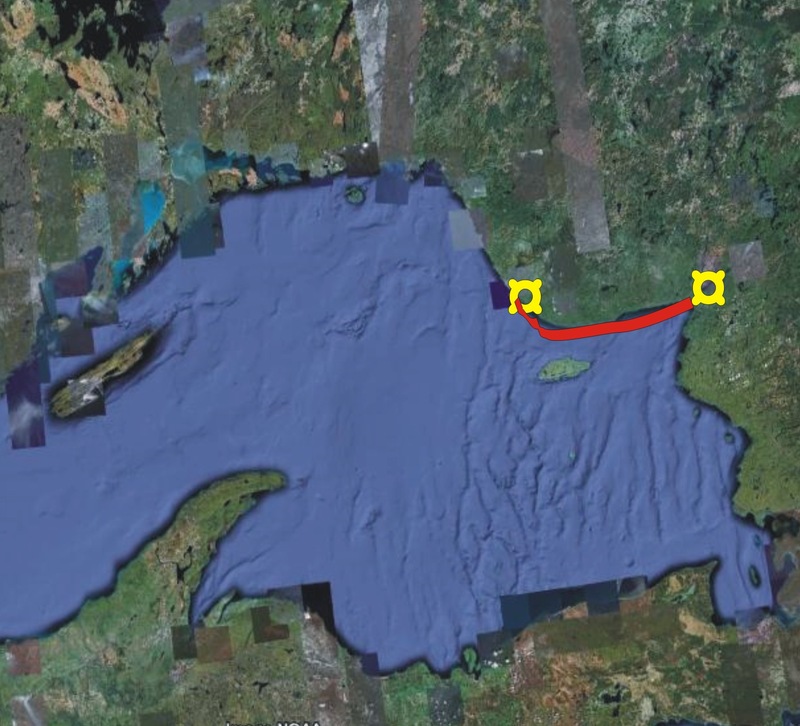 Following breakfast the next morning we shuttle north to Heron Bay near Pukaskwa National Park where we meet Captain Keith McCuaig. The “Melissa June” is a 30-foot aluminium landing craft catamaran, designed and built to Transport Canada and US Coast Guard standards as a small passenger shuttle vessel. With a 25 knot cruising speed she’ll ferry us to Pukaskwa Depot at the Park’s southern boundary. This 90-kilometre-long sea kayak trip contrasts rugged, spectacularly beautiful headlands with Caribbean-like beaches. 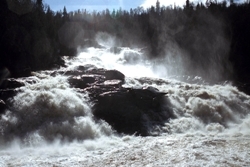 Highlights include the abandoned logging village of Pukaskwa Depot and a day hike to the 40-metre-high Denison Falls. We’ll also paddle along the notorious cliffs of Point Isacor, a 5-kilometre-long stretch of spectacular 150-metre granite cliffs and scree slopes. The trip takes us past a number of short exposed headlands but involves no significant crossings. It is a trip for paddlers in good condition with previous paddling and wilderness camping experience. Daily paddling distances range from 10 to 26 kilometres (average 19 km) with a day included to accommodate rough weather or a more relaxed or exploratory group pace. Most participants paddle single sea kayaks although occasionally we open trips to less experienced paddlers in double sea kayaks. You’ll be responsible for carrying a portion of the group gear in your kayak, along with your tent, sleeping bag, personal gear and food. Naturally Superior Adventures was established in 1994 with a focus on Lake Superior and silent sports. Sea Kayaker Magazine readers have kindly voted us as Eastern Canada’s best company for guided tours by sea kayak, since 2009.